The Blue Star Museums deal is on, and the Encinitas flower favorite is a participant. 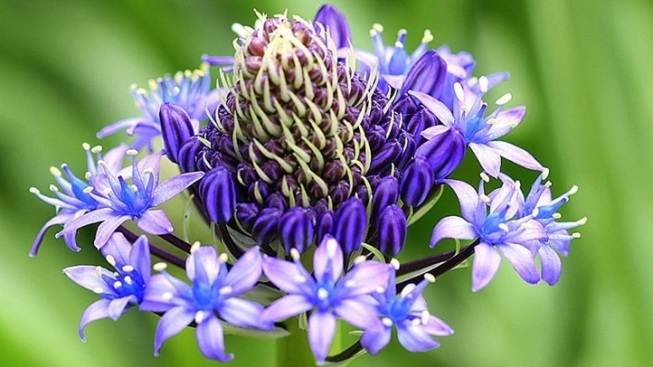 Pretty flowers, enjoyed for free: The summer-long Blue Star Museums program welcomes active military members and their families to the San Diego Botanic Garden for free. BLUE STAR AND SWEET BLOSSOMS: While the traditionally observed summer season runs from Memorial Day Weekend to Labor Day Weekend, it isn't the only nice thing to occur within that stretch. The annual Blue Star Museums program also happens during that time frame, and it is a program enjoyed by thousands. Designed for active members of the military and their families, Blue Star, which waives admission for military families at over 2000 museums across the country, was formed in partnership with the Department of Defense and the National Endowment for the Arts. But it isn't just traditional museums that are part of the fun; cultural institutions, science museums, and public gardens made the roster, too. ONE OF THOSE GARDENS... is the San Diego Botanic Garden in Encinitas, which is welcoming military families with zero admission required through Monday, Sept. 7. There are big days ahead, including a Fairy Festival on the Saturday of Father's Day Weekend and an Insect Festival in late July, but you and the kids can show any day, really, to soak up 35 acres of winding paths, native plants, flowering shrubs, shady trees, and all sorts of nature-wonderful sights. Need details on how it works at the garden? Here's your page. Want to know the rest of the Blue Star spots in California? The list is lovely and long, so prepare. THURSDAY FAMILY FUN NIGHT: While it isn't associated with the Blue Star Museums program, this San Diego Botanic Garden series is worth keeping in mind, if you're looking to get the excited-for-the-weekend family out of the house and into the fresh air. It's "free with paid admission" and happens every Thursday evening through Aug. 27. Oh, there's tot-pleasing entertainment, too, in addition to the chance to be in the gardens a bit late, as the sun sets, which is a rarer treat.